Inspiral London (Detours2 London) grows out of decentrederspace cultural and artistic experiments in Marseille (as part of 2013 European Capital of Culture); working on a novel project for London beyond 2014. This will be an ambitious public art project that hacks into existing footpaths and ways (such as London Circle, London Loop, the Thames Pathway, Green Chain etc. ), but which primarily uses its own sense of spiralling out of into the City’s centrifugal force. It takes inspiration from a number of walking art projects including the work of Baptiste Lanaspeze and Iain Sinclair. For up to date information please visit here. InspiralLondon is an ambitious artist-led project, working collectively to create a new walk trail spiraling out through London, from Kings Cross, ending and beginning again at Gravesend. The pathway is divided into 36 segments, allowing the public to experience the city as one vast art space in which to re-imagine the built and natural environment. 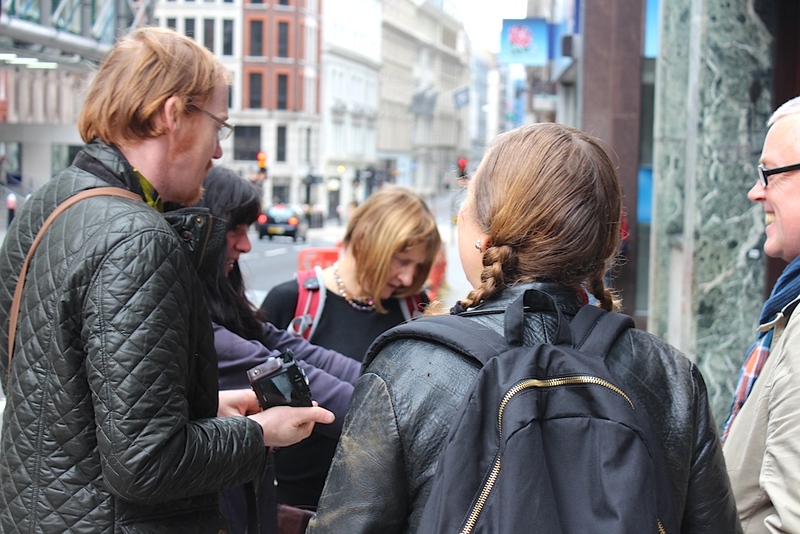 Expanding on the potential of walking as art, we use a variety of artistic practices and artistic interventions to offer an alternative platform that provides accessible and pleasurable ways to delve into under-explored and forgotten parts of the metropole. Counterproductions Director Charlie Fox first discussed the idea of creating a Metropolitan Trail in London with Baptiste Lanaspeze in November 2013. Over the next year in discussion with a number of artists and interested parties the spiral trail took shape. It was launched in June 2015. Inspiral associate artists recently finished the on the ground mapping of the complete trail in October 2017. The trail is available to follow as a googlemap and a full trail map will be published in March 2018. The original De/tours project formed part of a yearlong exploration of Marseille-Provence 2013 (European Capital of Culture). As Europe entered a fifth year of crisis, Decentrederspace invited a number of international artists to contribute to a residency programme, based in Marseille. Work made by the artists included performances, situations and artistic research practices that responded to the idea of ‘European Capital of Culture’ from a marginal outside, and wholly foreign perspective. All these artistic interventions were offered as detours or digressions from the official Marseille-Provence 2013 Capital of Culture programme, creating temporary artistic insertions as cultural exchange, and as offerings in/to Marseille. In the publication ‘De/Tours – Artistic Journeys in, through and after Marseille-Provence 2013′ Decentrederspace has collected together the residues and memories of these artistic intrusions. See also De/Tours in Marseille see www.decentrederspace.org and the GR2013 (National walking trail through Marseille/France) see: http://www.mp2013.fr/gr2013/en/.